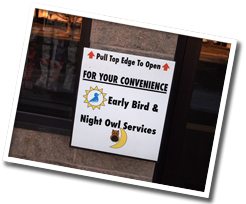 Available to our earlybird and late night drop off customers is an outside drop box with envelopes. Please use the form below to contact us with your automotive questions. Note: Please call us at 319-233-4466 to schedule an appointment or use the Appointments section of our website.